Triumph is celebrating 15 years of its most successful model with a distinctive new high-specification special edition of the 1050cc Speed Triple. The Speed Triple is the most popular Triumph of the Hinckley era, selling over 35,000 units since being introduced for the 1994 model year. Such is the significance of the Speed Triple to Triumph, company owner John Bloor has authorised use of his signature on the fuel tank for the very first time on the 15th Anniversary Special Edition. 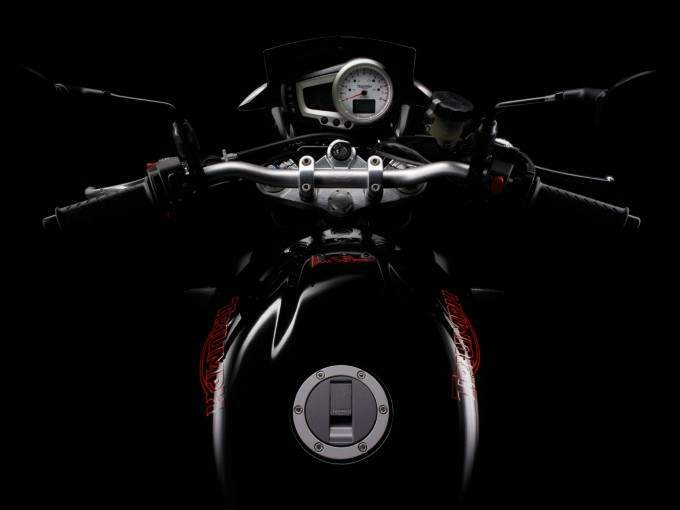 The limited edition model comes in a unique metallic Phantom Black colour scheme, with hand finished red pinstriped wheels to match unique ‘15th Anniversary Special Edition’ decals on the rear bodywork and flyscreen complete the special edition’s sophisticated yet aggressive look. First hitting the showrooms in February 1994, the three-cylinder Speed Triple has been the quintessential embodiment of Triumph’s British Bulldog spirit. Initially drawing heavily on the influence of the stripped down café racers of the 1960s, the first models were powered by a 98PS version of Triumph’s modular engine and were a regular sight on British race tracks in the thrilling Speed Triple Challenge race series. Over the years, the Speed Triple evolved to become the definitive factory streetfighter. 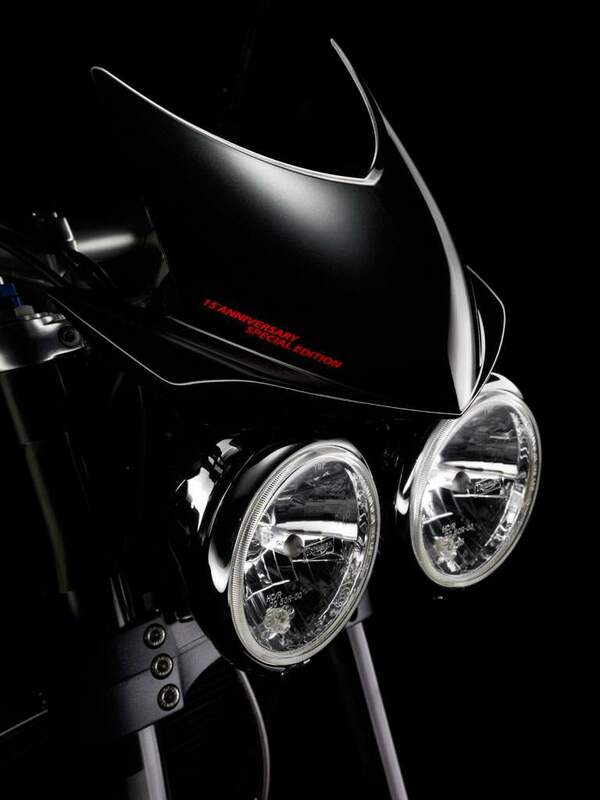 The arrival of the fuel-injected T509 Speed Triple in 1996 saw the introduction of the radical twin bug-eyed headlights, single-sided swingarm and oval section frame that have become Speed Triple trademarks ever since. In 1998 the streetfighter look was completed with the switch from low-slung clip-ons to the classic tall and wide handlebars. The Speed Triple also hit Hollywood, first in the Matrix and secondly playing a starring role alongside Tom Cruise in Mission Impossible 2. With each generation the Speed Triple has become lighter, more powerful and brimming with even more attitude. Whatever the improvements, the Speed Triple has always remained faithful to the minimalist approach that has gained the bike a cult following around the world. Triumph is celebrating 15 years of its most successful model with a distinctive new high-specification special edition of the 1050cc Speed Triple. 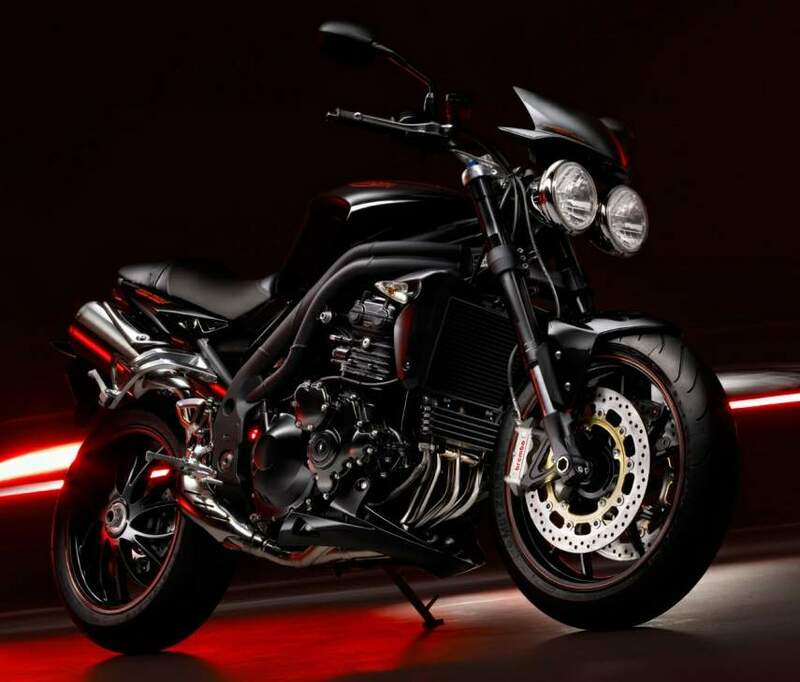 The Speed Triple 15th Anniversary Special Edition will be available in late February. The price has yet to be confirmed but is expected to be in the region of £8,600 otr.